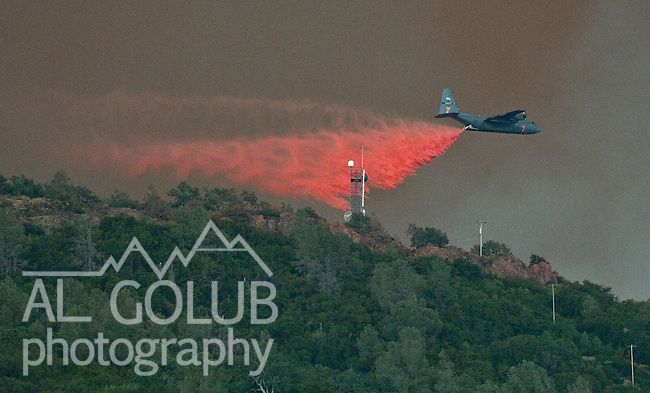 Bear Valley, California, July 26, 2008-Telegraph Fire near Yosemite National Park.C130 tanker drop retardant on Mt. Bullion Ridge to protect Cell phone tower on Fremont Peak. Image taken from Highway 49. Between Mt. Bullion and Bear Valley..Photo by Al GOLUB/Golub Photography.